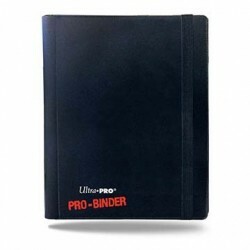 Ultra pro There are 22 products. 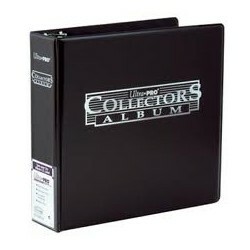 Premium album for standard size pages with collector's themed hot stamp foil on black cover. Reinforced 3" D-ring with booster for quick loading of pages. Albums include rich foam padding and have been rated to withstand 10º fahrenheit for cold cracking. 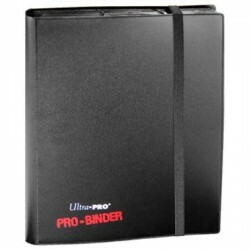 Constructed with clear indexing slot on the spine for easy organization. 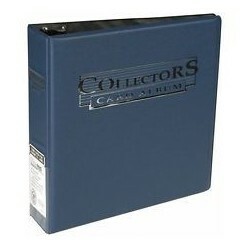 Premium album for standard size pages with collector's themed hot stamp foil on navy blue cover. Reinforced 3" D-ring with booster for quick loading of pages. Albums include rich foam padding and have been rated to withstand 10º fahrenheit for cold cracking. 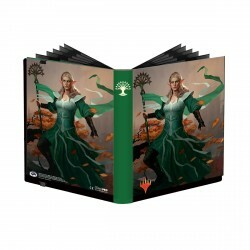 Constructed with clear indexing slot on the spine for easy organization. 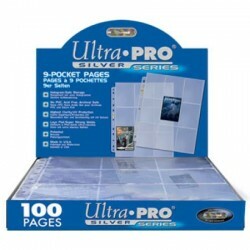 Ultra PRO Platinum Hologram Pages in nine-pocket style. Archival quality pages that holds standard-sized cards with 2-1/2" X 3-1/2" dimensions or smaller. Also ideal for sticker cards, coupons and other collectibles. 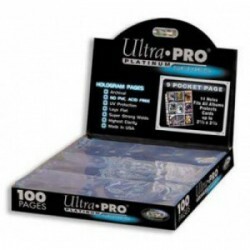 Pages are clear on both sides and pre-punched with 11-hole spine for flexible fitting. 18-Pocket Page with 9 pockets per side. 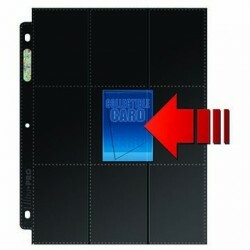 Side-loading pockets help prevent cards from easily falling out of the binder. 9-pocket portfolio with hot stamped gaming collectors themed silver foil on black cover. 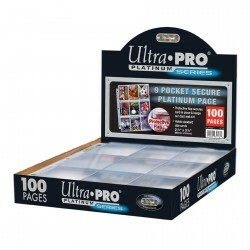 Holds 90 collectible cards single-loaded or 180 double-loaded; Each Portfolio includes 10 high-clarity pages. 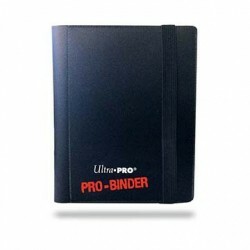 Made in U.S.A.
2-pocket black PRO-Binder with embossed middle black web material to give cards a classic framed look. Ultra PRO Platinum Hologram Pages in nine-pocket style with a protective flap for each pocket to secure cards in and keep dust & dirt out. 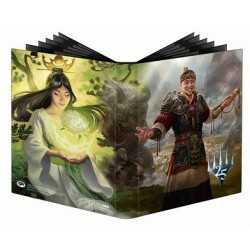 The Deck Builder's Premium PRO-Binder is designed for collecting playsets from your favorite trading card game. Each row holds a 4-card playset. 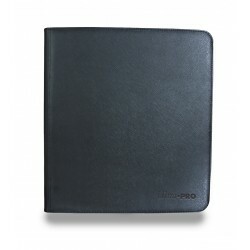 Textured black pages to give cards a classic framed look while side-loading pockets help keep cards in place. 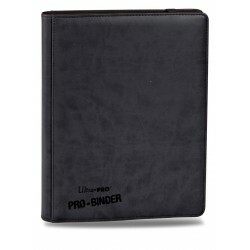 With a zippered closure that wraps around the edge, this binder is designed to keep your contents secure. 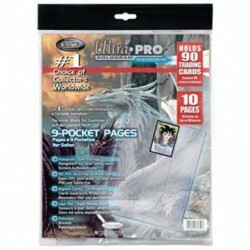 The Ultra PRO 9-pocket PRO-Binder stores and protects your collectible gaming cards while showcasing detailed, full-color art from the highly popular trading card game Magic: The Gathering.